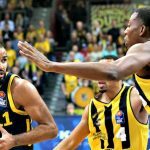 ALBA Berlin is still alive after winning the second game of the EuroCup Finals. After having lost the first game, ALBA stepped up at home, in Game 2 on Friday night, and defeated Valencia in an overtime thriller (95-92). With three minutes to go, the Spanish visitors were in control and had the lead (66-71). 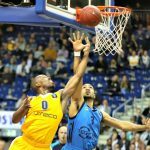 ALBA Berlin was down but not out. 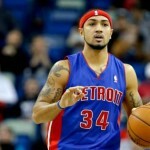 They bounced back and saw Peyton Siva turn things around and force overtime (83-83). In the extra period, the Germans were in front by six (89-83). 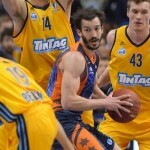 But, the Spaniards reacted and cut the deficit to only one point, 54 seconds before the end of the game (93-92). In the end, it was Sikma who sealed the deal for ALBA, with a pair of free throws (95-92). Matt Thomas (Valencia) failed to force double overtime, as he missed the game-tying three-pointer at the buzzer. 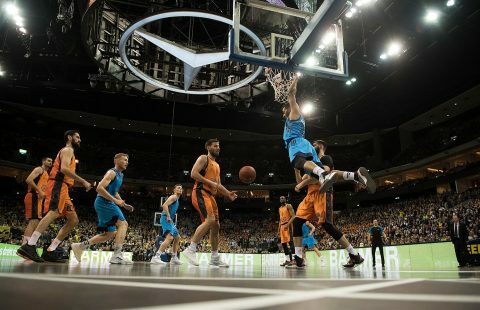 Four players scored in double figures for the ALBA Berlin, with Lithuanian Rokas Giedraitis having a team-high 17 points. 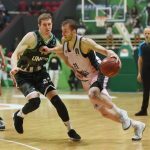 Sam Van Rossom led the losing squad with a game-high 22 points. Fernando San Emeterio (16 points) and Will Thomas (15 points) also stood out for Valencia. The all decisive Game three will be played in Spain on Monday (15/04). The winner will claim the EuroCup title and will also secure a spot in the lucrative Euroleague next season. Both teams proved once again why they reached the Finals. It was an offensive showdown in Berlin, which went down to the final shot. Valencia is still the favorite, as Game three will be played at their home court. On the other hand, ALBA Berlin has proven to be a tough nut to crack. Valencia knows that this is their only chance to advance to the 2019/20 EuroLeague. Otherwise, they would need to win the Spanish ACB title by beating teams like Baskonia, Real Madrid, and Barcelona. Not an easy task.